University of Rochester Dining Services is now one of a few college and university dining programs nationwide to embrace a fresh, customized “food first” philosophy through a new partnership with Harvest Table Culinary Group. Beginning immediately, Dining Services will introduce Harvest Table as its food service management group. Harvest Table is an independent division of Aramark, which for many years has managed the University’s dining services program. There are no personnel changes as part of this move. This fall, Harvest Table’s presence will be most noticeable in the Douglass and Danforth Dining Centers, and over the course of the year with greater visibility in additional dining areas, including the Faculty Club and Meliora Catering. Students will see information on freshness and sourcing in the menu identifiers at the stations. The identifiers will also display other attributes of the dish, including any allergy or dietary concerns it may raise. In collaboration with Dining Services, Harvest Table will introduce new and rotating recipe collections developed by its culinary council. Each day these recipes will include locally procured foods from partners in Rochester and the surrounding Upstate New York area. These farms and businesses often include Java’s Coffee in Rochester, Lamora Farms in Ontario, Nolt Farms in Penn Yan, and First Light Creamery in East Bethany, along with many others. Menu identifiers describe the dishes based on their ingredients, with additional information about the sourcing of ingredients, and any other important dietary details. Meal preparation will be based on consumer insights, health and wellness commitments, innovation, seasonality, and community feedback. 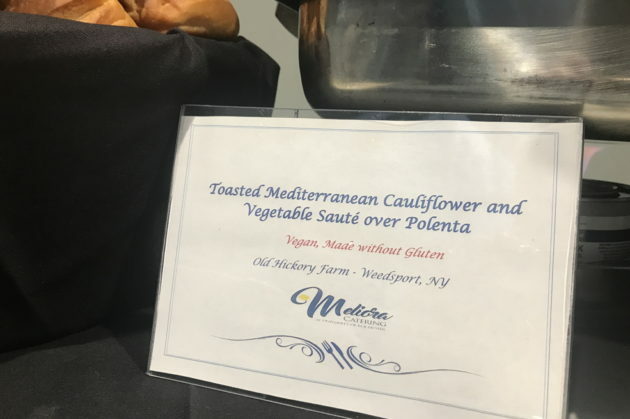 Tony Pignagrande, who has been the University’s executive chef for many years, will continue to develop the menus in collaboration with Harvest Table’s culinary council. 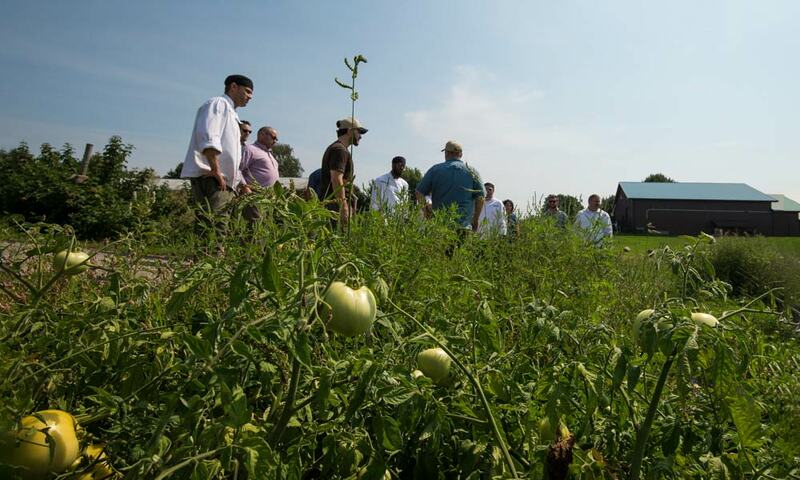 Pignagrande has worked closely with his campus culinary team and Headwater Food Hub over the years to promote local purchasing and farm-to-table options, including UR Dining’s 100% Local Dinners. Dining Services has been at the forefront of sustainable dining practices and cultivating local partnerships for over a decade. Working with Aramark, Schauf and his team increased the local buying to over 60 percent in the last several years, while incorporating sustainable initiatives such as waste minimization programs, responsible purchasing practices and environmentally-safe facilities. UR Dining recently won the Gold Award for Procurement Practices in the National Association of College and University Food Services 2018 Sustainability Awards contest. Pignagrande says that Dining Services is constantly innovating and listening to customers with regard to sustainable food purchasing and preparation. “‘No’ is never an answer from us,” he says. Chicken / Turkey: Certified Humane or Global Animal Partnership (GAP) 3-5; no antibiotics. Ground Beef: Humanely Raised GAP 4 or above; grass-fed cows. Milk and yogurt: antibiotic-free and non-GMO. The vast majority of the milk served at the University comes from Upstate Farms, a cooperative of more than 360 family-owned farms throughout western and central New York. Chobani, headquartered in Norwich, New York, provides most of the yogurt products.